The City Law School Graduate Diploma in Law student beats hundreds of competitors to take prestigious prize. 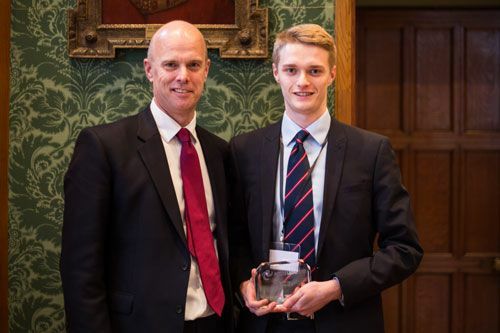 Tom Phillips, studying on The City Law School’s Graduate Diploma in Law (GDL), has been named the winner in the postgraduate section of the 2016 Future Legal Minds Awards. Pavlos Artemios Xagoraris, on the Graduate Entry LLB programme (GELLB) was shortlisted in this category. Tom and Pavlos were among five finalists shortlisted out of hundreds of contestants. "Having taught both Tom and Pavlos in Contract tutorials throughout this year, I was delighted to hear of their success in the Future Legal Mind competition. As the essay title recognises, the practice of law is undergoing rapid development. It is a matter of pride that two students from City, with its long-standing record of working with business and the professions, should have demonstrated their legal and commercial acumen at such a high level." “The challenge in writing the essay was that it require competitors to grapple with a very recent phenomenon, the commoditisation of legal services. Given the recent nature of this development there was a comparative lack of writing on the subject. The challenge lay in taking potentially relevant theoretical concepts from other domains and testing their applicability to the topic in question." "The competitive nature of the legal profession demands that law students participate in such events in order to improve their employability prospects. The essay topic was a great way to research and inform ourselves of the gradually changing core of the legal profession, which will subsequently give us insight of what the industry demands from young aspiring lawyers. The most rewarding element of the competition was being selected as one of the top 10 finalists from a pool of 1000 candidates. Moreover, the dinner itself, located in Lincoln’s Inn, was a unique experience. Undertaking opportunities such as the Future Legal Mind competition could be very impactful and motivational for law students who wish to thrive in their studies and subsequently their careers in law." 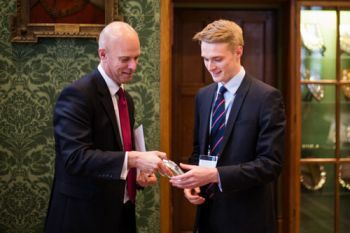 The winners were announced at a ceremony on 9th March held at the Old Court Room at the historic Lincoln’s Inn in London. They were presented with a £5,000 prize, a two-week work placement with law firm Simpson Millar. All finalists received £250 each. Students interested in entering the 2017 Future Legal Mind competition should visit this weblink. The Honourable Society of Lincoln's Inn is one of the four Inns of Court in London to which barristers of England and Wales belong and where they are called to the Bar. It is recognised as one of the world's most prestigious professional bodies of judges and lawyers. It is the largest Inn and it covers 11 acres. The other three are Middle Temple, Inner Temple and Gray's Inn. The Inn is believed to be named after Henry de Lacy, 3rd Earl of Lincoln. The Inn is also well known for its large garden and library, which have existed since 1422. Lincoln's Inn is situated in Holborn, in the London Borough of Camden.